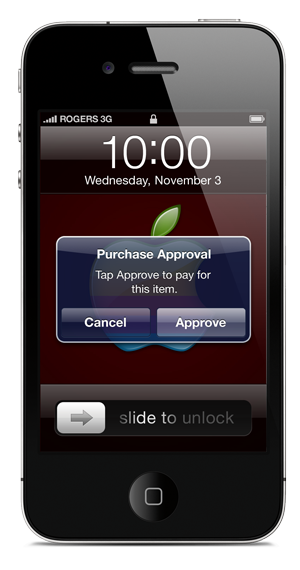 Hardware already exists that allows the iPhone (s aapl) to receive payments and process transactions. But what if the next version offered the ability to do that and so much more, without accessories? The iPhone could become the lynchpin in a mobile commerce future ripped from science fiction. The latest buzz about the iPhone as a mobile payment device comes from reports that Apple is in negotiations to buy Boku, a mobile payments startup. TechCrunch first reported that both Apple and Google (s goog) are interested in the company, and Boku’s CEO has met with both Android and iPhone executives. Even if Apple doesn’t nab Boku specifically, it’ll probably look elsewhere to scratch the same itch. Boku allows users to pay for digital goods and services using their mobile phones. Essentially, it allows iTunes Store-style purchasing to things beyond Apple’s own offerings. If Apple were to acquire Boku or a similar service, it would probably roll those capabilities in to its existing services, so that iTunes account holders would be able to use their Apple ID to pay for just about anything online. It’d be a big step for iTunes, and for the iPhone, but it’s not the only financial transaction technology in the pipeline for Apple’s smartphone. Recent rumors also suggest that the next iPhone could use Near Field Communication (NFC) to interact directly with other equipped devices. NFC is the means by which MasterCard’s (s ma) PayPass technology allows customers to simply swipe their credit cards over a sensor to pay for goods and services in the real world. Combined with expanded Apple ID purchasing power online, NFC-based payments would make the iPhone a mobile wallet capable of paying for virtually anything, so long as Apple can secure interest from retail partners, which probably won’t be a problem, given the iPhone’s reach and mass market appeal. Buying things on- and offline isn’t where the iPhone’s potential ability to move money ends, either. Square’s credit card processing system for the iPhone was widely covered at launch, though it’s had a few hiccups along the way. Other competitors have also emerged, offering cases that double as credit card swipe terminals, including a new offering by App Ninja, the Swiper. NFC could eventually eliminate the need for such accessories. Payments could instead be made mobile-to-mobile, or from credit card to mobile via PayPass or similar technologies from other credit card companies. The ability to charge others for services rendered quickly and immediately with digital receipts and without cumbersome hardware point-of-sale (POS) systems would be a huge boon to small businesses and freelancers alike. Mobile, on-demand payment for freelance work is only going to become more profitable, too, as contract employment continues to rise, since it’s a money saver for both contractor and contracted agent. Apple seems to have a cloud-connected computing experience in mind for the future of its product lineup. But it also looks to be anticipating the day when your smartphone acts as both wallet and POS terminal, becoming the ultimate consumption device for both buyer and seller. Imaging paying and being paid for just about anything with just a wave of your mobile phone. However, is this sci-fi inspired future something customers are ready for? We have the same opinion: the customer is ready for this new step. Although the price per payment should be less then $ 0,10 per transaction. Follow our developments on our mobile order handheld system on http://www.mobielkassasysteem.nl/mob/app/demo The web-app is for iPod, iPhone, iPad, HTC, Samsung and on a PC within a Chrome or Safari browser.